The Corona brewer pleased investors by unveiling healthy revenue growth and plans to cut net debt to below four times EBITDA by end-2020. The goal is feasible even without a mooted IPO of its Asia unit. Just as well since the company can ill afford big cuts in its marketing spend. A waiter serves a glass of beer ahead of an Anheuser-Busch InBev shareholders meeting in Brussels, Belgium April 30, 2014. Anheuser-Busch InBev on Feb. 28 reported revenue of $54.6 billion in 2018, compared with $56.4 billion in the previous year. EBITDA rose 7.9 percent in organic terms to $22.1 billion. 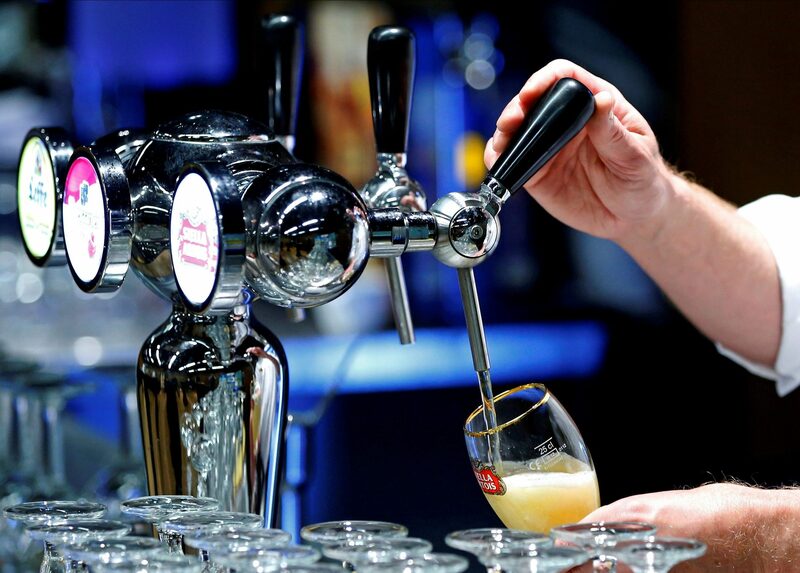 The 112 billion euro maker of Stella Artois and Corona said that it had seen improved volumes, revenue and market share in Mexico, Colombia, China, western Europe and several African countries in 2018. It lost a 0.4 percentage point share of its largest market, the United States, but that was the smallest decline since 2012. AB InBev said it expected net debt would be worth less than four times EBITDA by the end of 2020, compared with 4.6 times at the end of 2018. The company said it would prioritise debt repayment in order to meet its goal of reducing this ratio to around two times. Shares in the brewer rose 4.6 percent to 68.89 euros at 0845 GMT on Feb. 28.